Picture the scene. I'm 10 years old and a friend at school tells me they have a game at home which is a two player chess like game, but your opponent cannot see the strength of your pieces. Then he tells me that the game will automatically work out who wins a battle between pieces! - What utter nonsense I thought! How is it going to do that? Well he wasn't lying and it did! This was cutting edge technology! The ability to play a game whereby you can keep the strength of your pieces secret was brilliant. 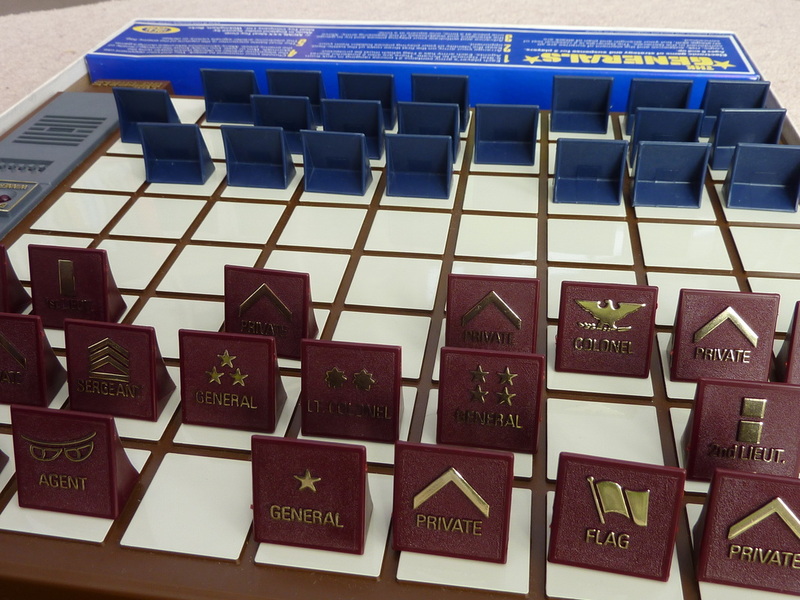 Each plastic playing piece has a particular type of layout on it's base. And when positioned on the 'arbitrator', the game works out which piece is the strongest. 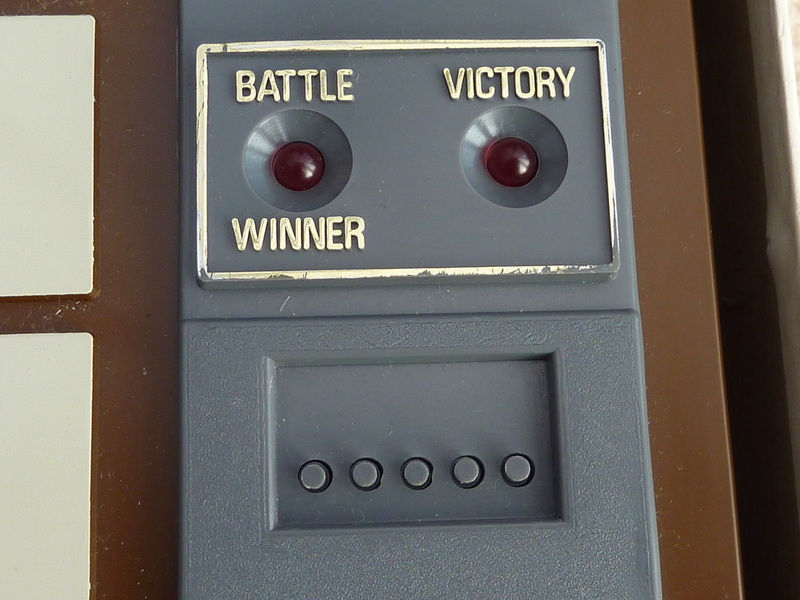 The picture below shows a close-up of the Arbitrator. The five little pins detect the kind of piece being pushed onto it. He he he! He doesn't know where my flag is! At the start of the game, you line your pieces up, facing you in any combination you wish. 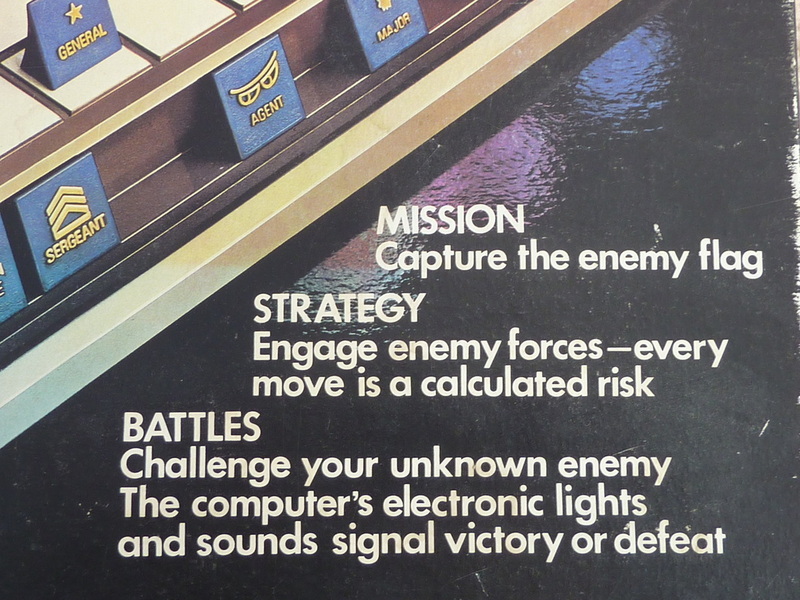 Unlike 'Stratego', there are more available spaces on the board and so there will always be a few gaps on the board at the beginning of the game. This gives your pieces a bit more room to manaeover. 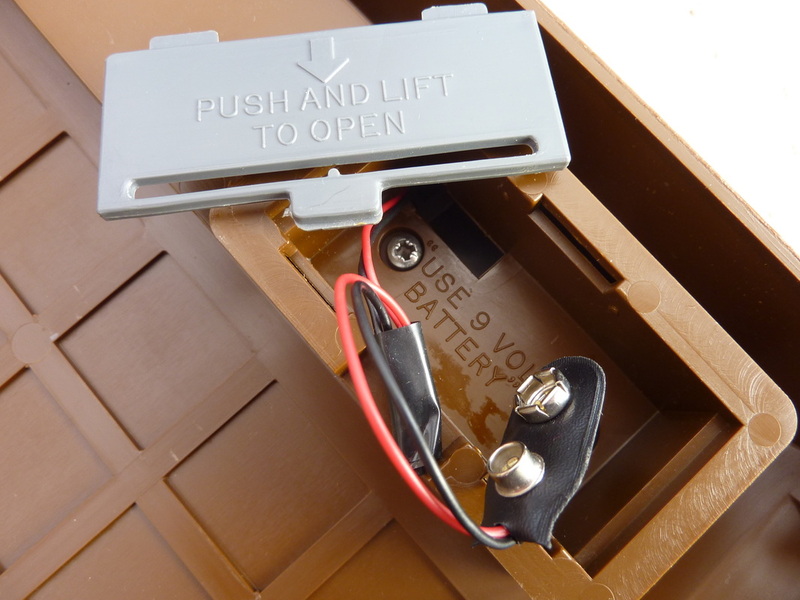 It takes one 9v battery...one of those old school rectangular ones. (See image on right). The sound the 'arbitrator' kicks out is not very pleasant. I think the word I would use to describe it, would be 'functional'! 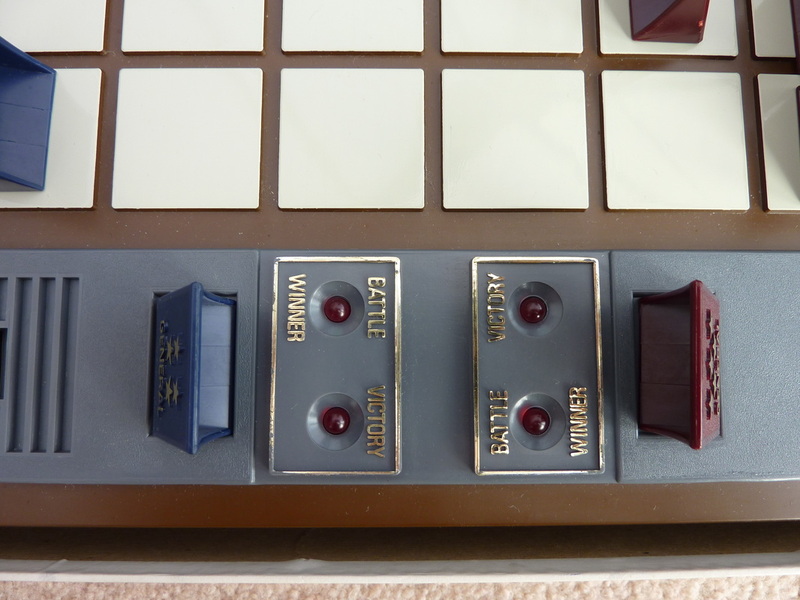 On the right you can see two pieces on the Arbitrator, ready for battle. Each piece requires constant downward pressure to activate the pins and enable the device to work out who wins. 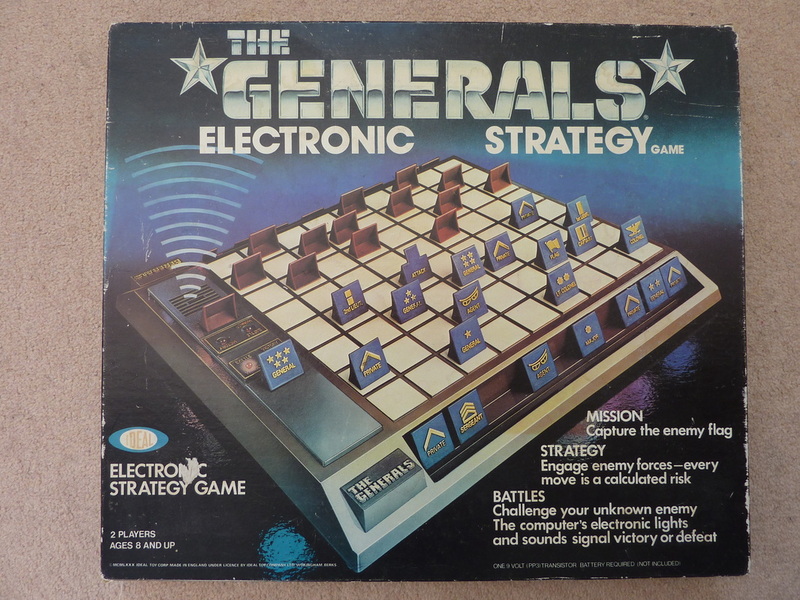 Unlike Stratego, 'Generals' does not contain any 'bombs'. So all pieces are free to move around the board. Also, as mentioned, when challenging your opponent, because the 'Arbitrator' is used, neither player gets to see the strength of his opponents piece. 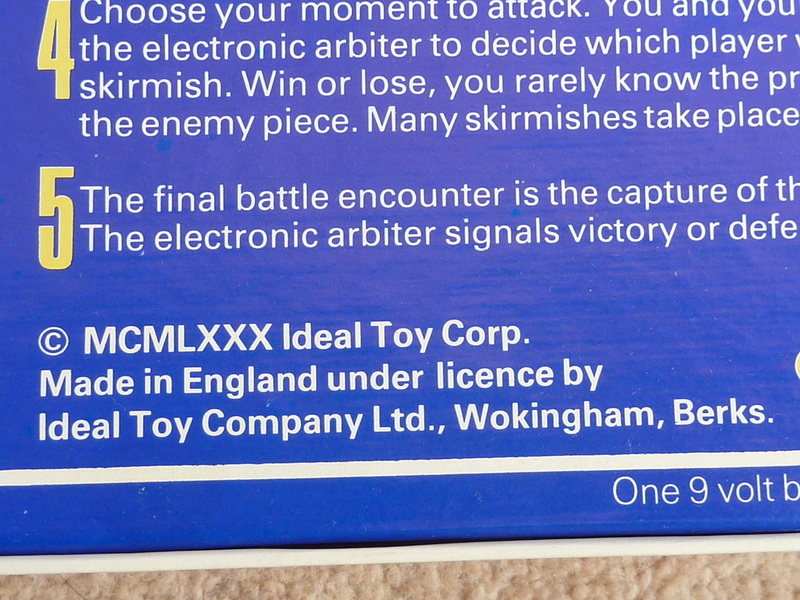 As you can see, this edition of the game was made in Wokingham, in the UK! Oh happy days when we used to build things in this country. 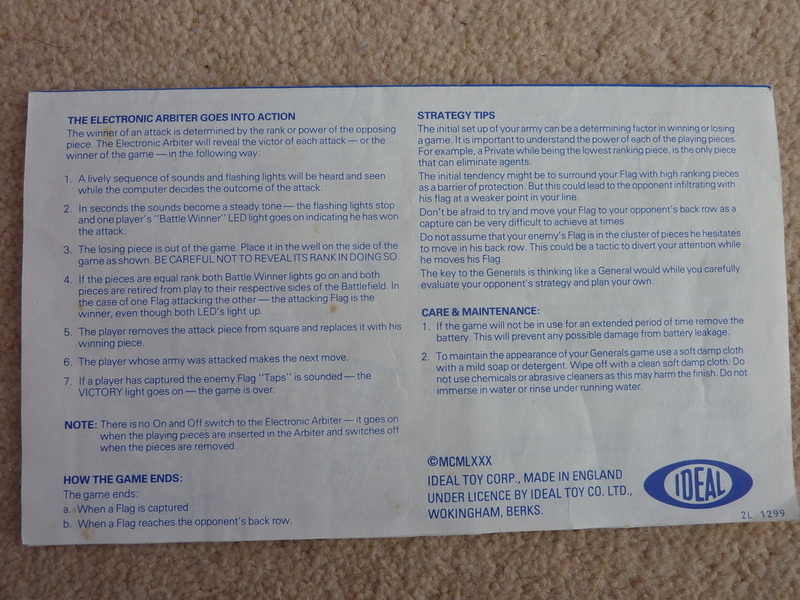 The Instructions are shown on the right. Click for full-size. Your mission - should you choose to accept it! 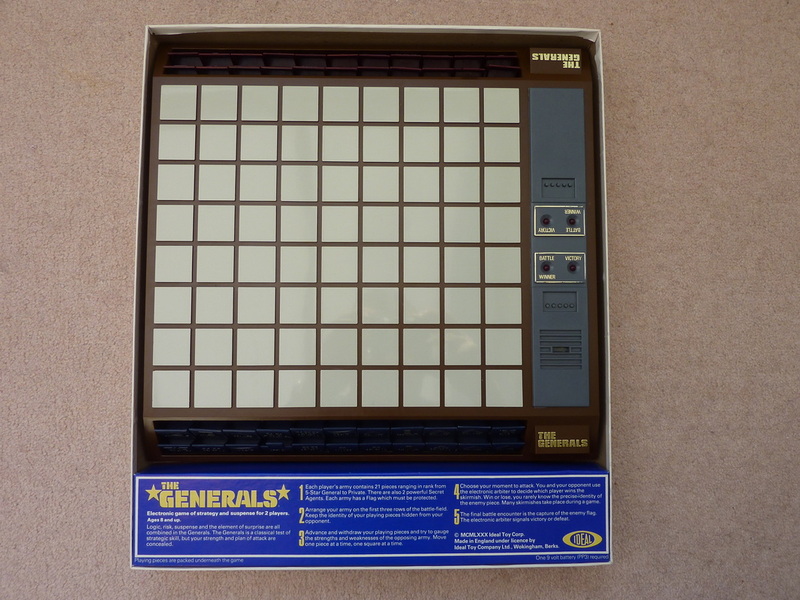 The Generals. Are you ready?